If you listen to the news reports and pundits, small businesses are having an extremely difficult time obtaining financing due to the mortgage industry’s adverse impact on the banking industry and the resulting tightening of credit. Help! I Need Money for My Business Now!! :How to Access Traditional and Creative Financing for Your Business has over 25 in-depth yet succinct case study examples of what other real business owners have done to raise capital to grow their businesses. The material covers not just what is available but the how to obtain it - what works best and why for your particular business type, templates, websites. It includes everything from pursuing business-friendly community banks to forming strategic alliances to tapping supplier financing. 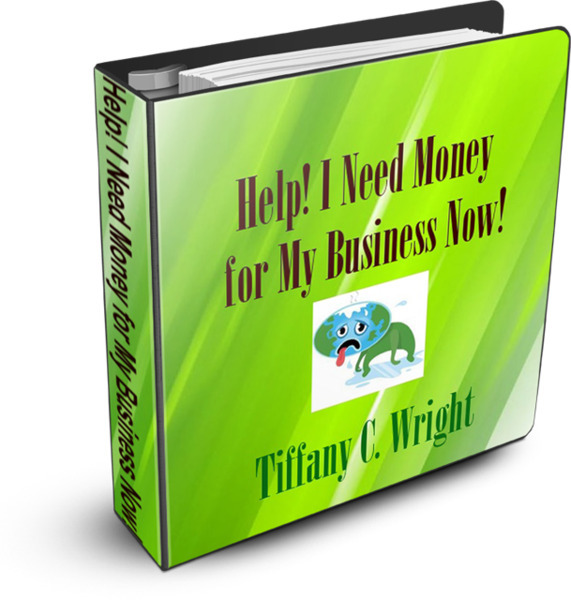 This ebook manual shows business owners how to raise the capital they need to survive the economic downturn and grow their business. Help! I Need Money for My Business Now!! helps business owners lay the financial framework to create a viable, sustainable business to sell or pass on. Help! I Need Money for My Business Now!! can be ordered from Toca Family Business Services; or online at http://www.smallbusinessfinancingresource.com/ . The price is $59.99 and is delivered immediately upon order confirmation. For more details visit http://www.smallbusinessfinancingresource.com/.